Schedule your Chevrolet service today! When it comes to reliability, Chevrolet cars deliver. But like any other vehicle, Chevrolet cars don’t perform well when they aren’t maintained or fixed properly. Maximize the power of your Chevrolet by bringing it to our auto shop for scheduled maintenance and high-quality repairs. If you’re looking for brake repair services, our Chevrolet brake repair specialists are here to help. With years of experience handling brake issues in Chevrolet cars, our technicians in Towson, Maryland carry out quality repair jobs that will get you back on the road safely in no time. Your vehicle’s engine burns fuel to run — a process that may cause the engine to heat up. Thanks to the car’s cooling system, the temperature in the engine remains manageable. With an important role in keeping your engine running, the cooling system needs to be in top condition. Let our experts make sure you have a functioning cooling system before you hit the road again. The maintenance professionals at Hollenshade’s can help keep your family’s vehicle running smoothly along its scheduled maintenance interval periods. Don’t skip your next oil change, so you can prevent other possible issues in your Chevrolet. Our certified technicians do more than oil change — they also inform you if there’s anything else in your car that needs attention. This way, you get to address the problem before it becomes a serious issue that would break the bank. Tire pressure, wheel alignment, and driving conditions cause tires on a vehicle to wear at different rates and patterns. It is best to rotate your tires according to the recommended schedule to help extend their lifespans. 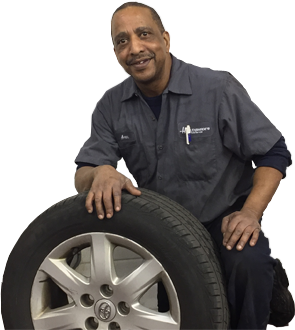 Head to our Towson auto shop for that scheduled tire rotation. Get expert Chevrolet repair in Towson, Maryland. Schedule a service today.